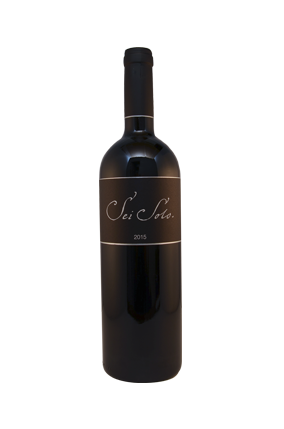 The 2015 Sei Solo was produced with the grapes from six hectares in La Horra, half owned, half rented. Each plot was fermented separately in oak vats with indigenous yeasts, all the grapes destemmed and beginning with cold grapes for a slow start up. Malolactic was in used 228-liter oak barrels, and the wine then matured in 600-liter oak barrels for some 16 months, during which time it was racked two or three times. It's a powerful and concentrated Tempranillo that is starting to develop some aromatic complexity after one year in bottle, so they are planning to keep all of their wines for one year in bottle before being released. The palate is full-bodied, combining power with elegance. It has nice balance and grainy tannins, but they're more elegant than those in the Preludio. It's quite surprisingly fresh for the conditions of the vintage. 2,000 bottles were filled in September 2017.